Much has changed since Magellan circumnavigated Earth almost 500 years ago or since the first astronaut orbited Earth over 50 years ago. August 26, 2013 marks another historical event in exploring our earth. Terra, the flagship Earth Observing Satellite, sees the Earth for the 5,000th day celebrating its 5,000th day on orbit. Terra paved the way for other Earth Observing Satellites through observations made by its five instruments from three countries, MODIS, MISR, and CERES from the United States, ASTER from Japan, and MOPITT from Canada. Terra is a global partnership, advancing the scientific understanding of our Earth’s processes and changing climate. MODIS, the MODerate Imaging Spectroradiometer, has captured images of numerous wildfires, hurricanes, and other natural events, while quantifying the amount of vegetation that covers Earth, monitoring sea surface temperature, capturing ocean color, observing the lower atmosphere and providing traceable images of the changing ice sheets. Since its launch in December of 1999 Terra MODIS has supplied irreplaceable data to monitor climate change, improving understanding of global dynamics and processes occurring on Earth. MISR, the Multi-angle Imaging SpectroRadiometer, monitors Earth from multiple angles at the same time. MISR, the first instrument of its kind, measures the amount of sunlight that is scattered in different directions from Earth’s surface and atmosphere through its suite of nine pushbroom sensors pointed in different directions. MISR gives depth to what would otherwise be flat images, revealing what lies below the initial surface as seen from space. MISR also distinguishes different types of clouds, particles and surfaces, monitoring trends and contributing to the historical record of a changing climate. CERES, Clouds and Earth’s Radiant Energy System, on Terra was the second to launch. 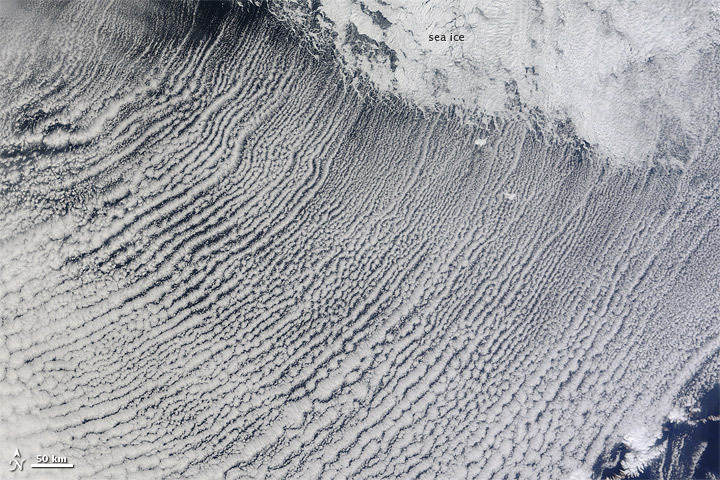 The most recent CERES instrument launched in 2011 onboard the Suomi National Polar-orbiting Partnership (NPP) Satellite. CERES data leads to a better understanding of the role of clouds and the energy cycle in global climate change through taking measurements of incoming and outgoing solar radiation related to cloud properties and physics, enhancing the accuracy of current climate models. ASTER, Advanced Spaceborne Thermal Emission and Reflection Radiometer, data is used to create detailed maps of land surface temperature, reflectance, and elevation. It is a cooperative effort between NASA, Japan’s Ministry of Economy, Trade and Industry (METI), and Japan Space Systems. Anytime a volcano erupts, ASTER is able to see the thermal fingerprint left by the cascading lava and the warm surface temperature. ASTER measures infrared radiation and contributes to data sets that reveal more than meets the eye about land use, hydrology, and geologic composition of the land. Its data are used to locate archeologically significant areas, to assist in locating mineral deposits and mapping geologic features, as well as to further the understanding of how humans and natural events change Earth’s surface. ASTER’s high resolution makes it possible to monitor Earth’s surface at a higher resolution than Terra’s other instruments, enhancing validation and calibration capabilities. MOPITT, Measurements Of Pollution in The Troposphere, measure tropospheric carbon monoxide (CO) on a global scale. Methane oxidation, fossil fuel consumption and biomass burning produce CO. MOPITT data enables scientists to analyze sources and sinks of CO and track CO’s movement throughout the globe. Through studying this trace gas scientists are able to map CO levels in the lower atmosphere, furthering our understanding of how CO levels change due to both natural and human caused events, ultimately helping understand pollution’s role in climate change. 5,000 days orbiting the Earth is enough to make anyone’s head spin, but Terra has done little to make people dizzy. Instead, this forerunner in collecting climate science data has paved the way for other satellite missions to clearly understand what changes are occurring on Earth and how they may continue to change well into the future. As Terra continues into its teenage years, mature for a satellite, it continues to collect measurements that lead to a better understanding of our changing planet.